 Filament Games | Portfolio | Saving Lives! Based on current American Heart Association Guidelines for chest compression and rhythm, Saving Lives! 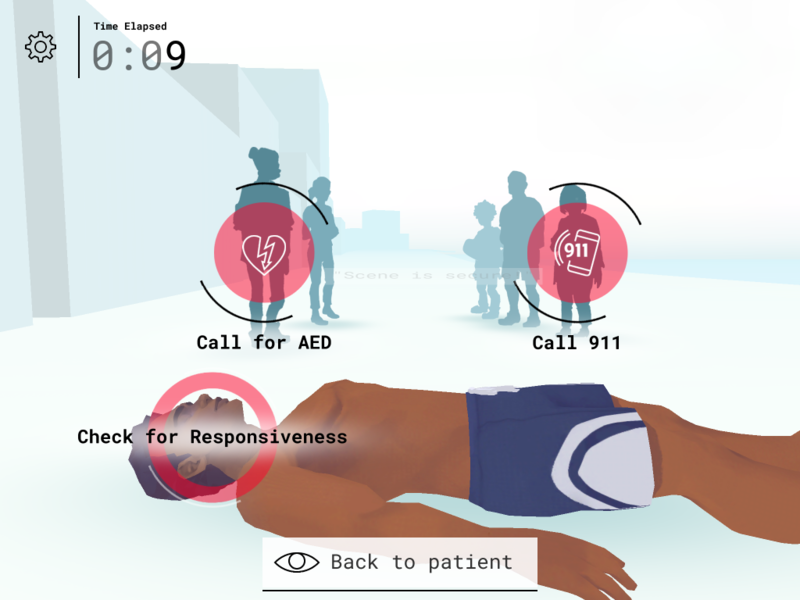 helps players practice their foundational CPR and basic life support skillsets by administering CPR to a patient in a simulated emergency scenario. 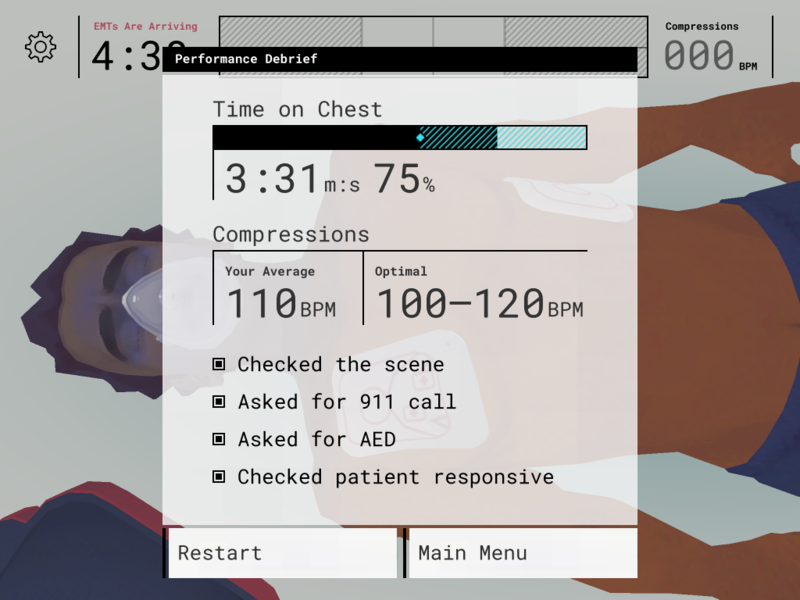 Players will internalize the compression rate and proper procedure for CPR, receiving contextualized, just-in-time feedback as patient status changes based on their performance. 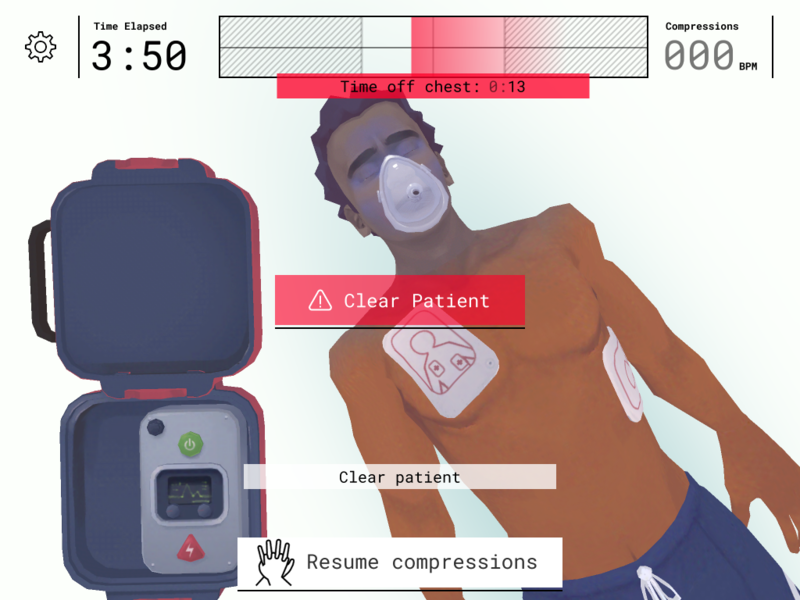 Players will also gain experience using an automated external defibrillator (AED) to resuscitate unresponsive patients.